Add-ons and extras to personalise your clubhouse. Roofs to keep out the weather! Here you can choose the accessories to fit onto your Multiplay Clubhouse system. The imaginative use of accessories can really make a big difference to your final playground installation, and while there are certain items which we install onto almost every single commercial playground we have ever built (eg a slide) there are many others to choose from too. For the more adventurous and older age groups what about a monkey bar or a traverse net ? 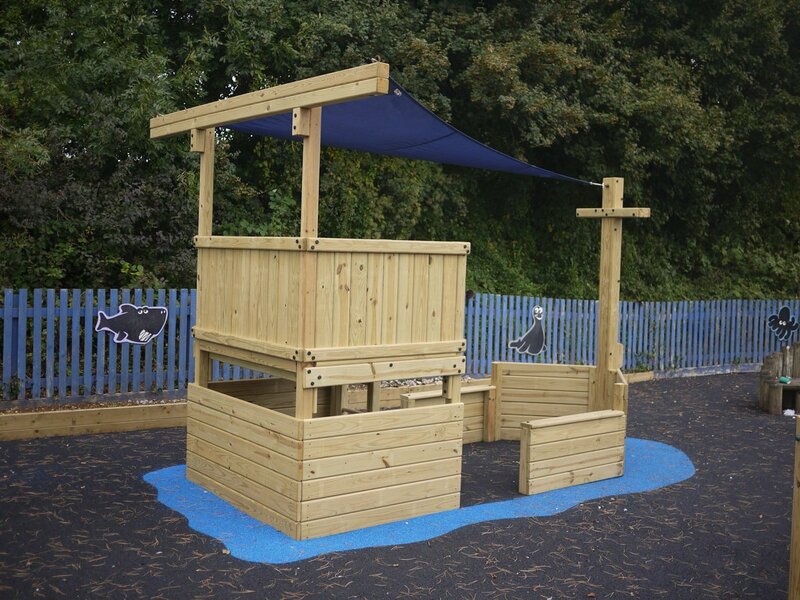 For younger children we have a selection of springers and play panels to spark the imagination.